BANGKOK - Just as any country that experienced the devastating effects of war, Thailand, which was involved in both world wars, has its share of bestseller novels that are centered on wartime romances. Possibly the most famous work among such tales is Wimol Siripaiboon’s “Khu Kam,” a love story between a Thai woman and an idealistic Japanese soldier during World War II after Japan invaded the countries of Southeast Asia, including Thailand. Set in the early stages of World War II, the novel begins with a nationalist Thai woman named Angsumalin who harbors a deep hatred toward Kobori, a Japanese soldier. As the story progresses, a complicated connection and heartbreaking love develops between the two protagonists. 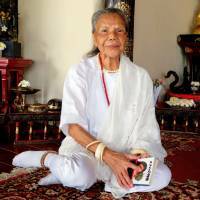 The 81-year-old Wimol says that, as someone who lived through the war, she tries to narrate in her work the lesson that such large-scale violence causes a tremendous loss to humanity. To the author, who has penned more than 100 novels, love is the bonding of two hearts but, in the middle of a conflict, people must be dutiful toward their own countries, much like Angsumalin and Kobori, the novel’s star-crossed lovers, are. “Kobori had to die at the end because I wanted to show that war causes death and damage, whether you are on the side of the Axis or Allies,” Wimol says. 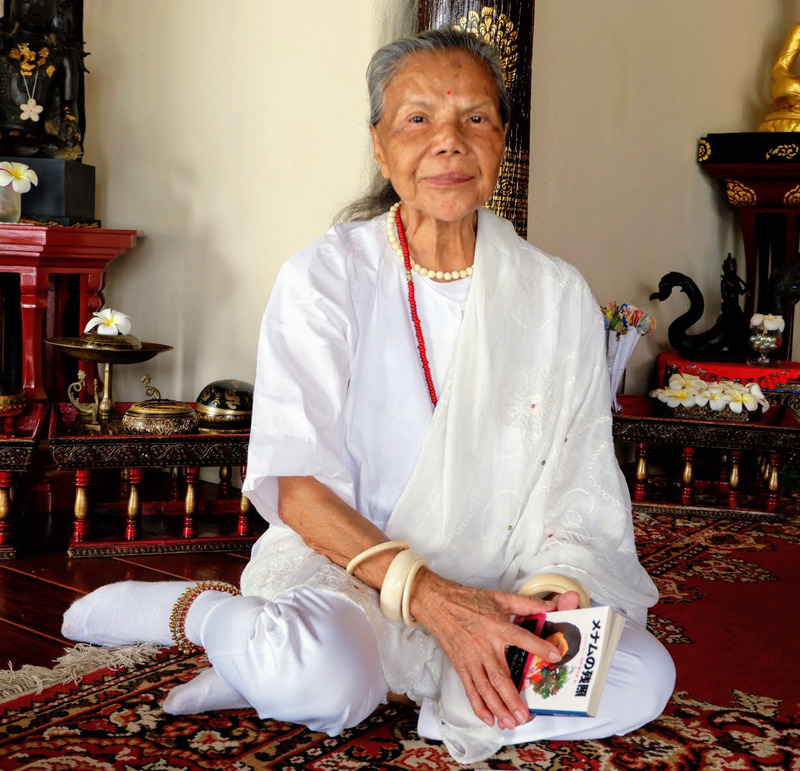 The author says she was inspired to write based on her own experiences with Japanese soldiers, who entered Thailand to invade Malaya and Burma, which are now known as Malaysia and Myanmar. Thailand had allowed the troops access through its lands and signed a mutual defense pact with Japan. Tensions arising from the war forced Wimol’s family to temporarily leave Bangkok’s outskirts for another province. While riding in a train, she had an unexpectedly warm interaction with an unknown Japanese soldier. To explain the soldier’s behavior, Wimol’s father guessed that he might have a daughter of his own back home, one he missed dearly. Wimol says that she and her family also had interactions with Japanese soldiers stationed in the western part of Bangkok. Stories abound in Thailand of the brutal treatment of local residents and others by Japanese soldiers, particularly in the western Thai province of Kanchanaburi, where the Imperial Japanese Army built an infamous “Death Railway,” using more than 100,000 Allied prisoners of war and Asians as forced labor, to support its forces in the war’s Burma campaign. “I don’t know what happened in other parts of Thailand, but what I experienced was quite good. The Japanese soldiers I met did not harm us and that (experience) led to (creating) Kobori,” she says. According to Wimol, Kobori represents an ideal Japanese man who is disciplined and adheres to military regulations, and was modeled after Lt. Gen. Aketo Nakamura, a commander of Japanese forces in Thailand during the war. Wimol says she did not know Nakamura in person but read books about him, and that her impression of him was positive. He seemed to her to have helped ease frosty relations that had developed between local Thais and Japanese soldiers. As Wimol sees it, the novel portrays rocky relations between Thailand and Japan, both at personal and national levels, during a war in which Thailand allowed Japan to use its territory even as a group of Thais was secretly cooperating with the Allies. The story between Kobori and his Thai lover is fictional, but Wimol says many scenes in the novel come from her direct experiences, including the products traded between Japanese soldiers and local residents, and bomb attacks by the Allies. “I was young but I have vivid memories of Japanese soldiers walking or driving by as children, including me, shouted to them ‘arigatō,’ ‘banzai’ and ‘chaiyo’ (a Thai word that expresses a delight or cheer) just to have fun,” Wimol says with a laugh. “A Japanese man who is called Kobori by the Thai people should be proud, as he is a symbol of kindness, warmth and discipline,” Wimol says.